Lesser experienced players than Rafael Nadal have felt destroyed by the kind of defeat Novak Djokovic inflicted on him in the Australian Open final. 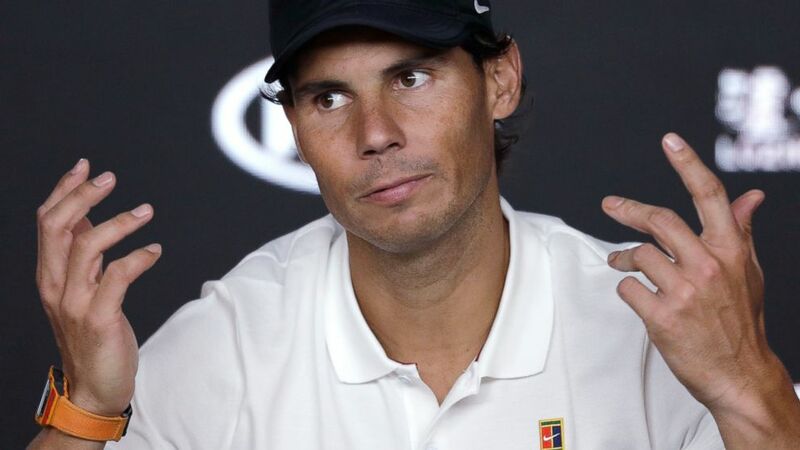 Nadal secured his spot in Sunday’s championship match by conceding just six games in an overwhelming semifinal win over 20-year-old Stefanos Tsitsipas, who admitted it was an utterly shattering experience. Three days later, Nadal was on the receiving end. But the 17-time major winner had a different perspective. Djokovic had a 27-25 edge in head-to-head meetings going into this final, although Nadal had the superior record in majors at 9-5. It was the statistics on hard courts that were most relevant for Melbourne Park, though. Djokovic had never lost in his six previous finals here, including the 5-hour, 53-minute epic against Nadal in 2012, and had won the previous seven head-to-heads with Nadal on the surface. Djokovic wanted the record for most Australian Open titles in his own right, and he went out hard. Nadal lost 13 of the first 14 points, and took just a single point off Djokovic’s serve in the first set. He couldn’t find the extra shot he needed in rallies to claw his way back into the match. He dropped sets for the first time in the tournament, and eventually slumped to his heaviest loss to Djokovic in their Grand Slam meetings. Now they’re 4-4 in Grand Slam finals. Nadal only had one look at break point — 1 hour, 46 minutes into the match — and he couldn’t convert after netting a backhand. He dropped his head and looked down at the court. Djokovic rated this victory one of the best of his career, but he didn’t want to say he’d found the secret to breaking down Nadal. For his part, Nadal was satisfied with his overall form in his first tournament since the U.S. Open last September. “I have been going through very tough moments,” he said, listing a string of ailments ranging from his knee, his feet, abdominal issues to an ankle operation at the end of 2018, and a strained thigh muscle in the first week of this season. Reaching the final had been an unlikely proposition, and losing it in the circumstances was good progress. Nadal was OK with his attacking game, but said he needed a lot more work from his defensive positions. His coach, Carlos Moya, said he needed to assess what happened but he was pretty certain Djokovic would have beaten anyone on Sunday. The next major is the French Open, where Djokovic will be aiming to hold all four major titles. But if Djokovic is the monarch of Melbourne, Nadal is the king of clay. AP Tennis Writer Howard Fendrich contributed from Melbourne.